Where would women be without the vote? We are pleased to provide you with an opportunity to make history – help build a national monument! The courage, sacrifice and tenacity of five million quiet heroes who fought for 72 years to win the vote are the driving forces behind the Turning Point Suffragist Memorial, a visual symbol and national learning landmark to honor and commemorate their resolve and triumph. 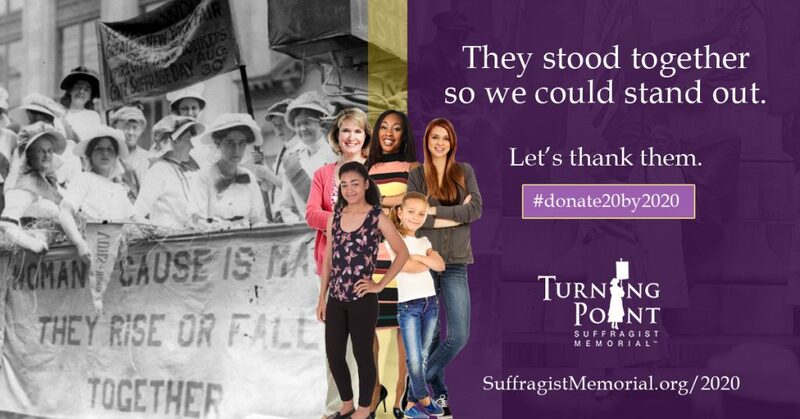 The #Donate20By2020 campaign celebrates the greatest expansion of democracy in a single day the world has ever seen – the “Turning Point” passage of the 19th Amendment to the U.S. Constitution. 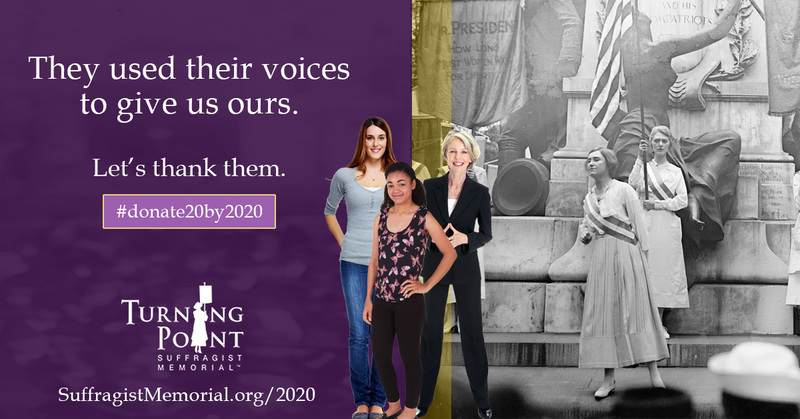 #Donate20By2020 gives every woman and man the power to elevate this little-known, heroic suffrage story to its proper place in history. Donate to celebrate a woman you love. 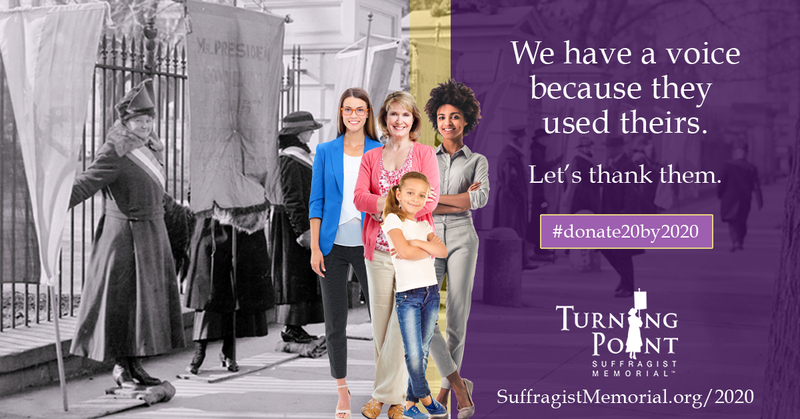 Donate to celebrate a suffrage movement that put American women in the Constitution for the first time and continues to change lives. Contributions in any amount are welcome, but the #Donate20By2020 campaign includes special recognition – in honor or in memory – for donations of $20 or more. Your $20+ tax deductible donation comes with perks!